Here’s something to think about for the New Year ahead. Since May 2018, cars over 40 years old no longer require an annual MOT certificate. 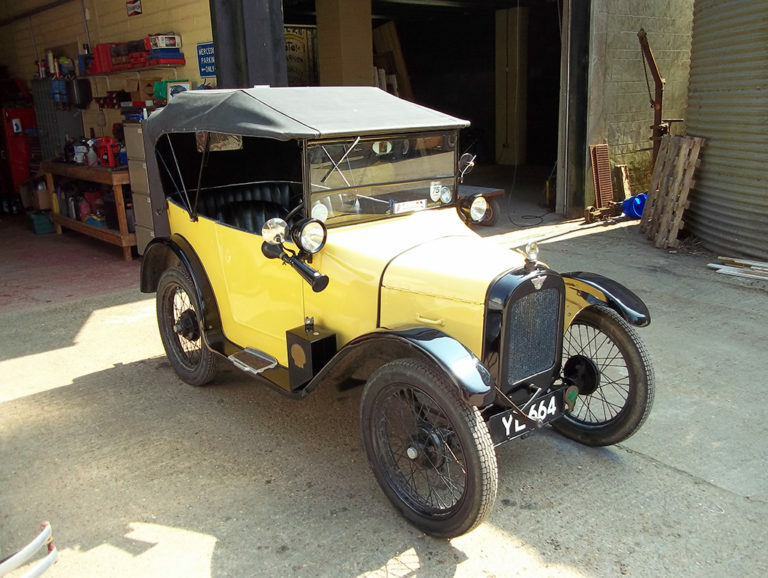 Already many owners of classic and historic cars are not undertaking any type of regular inspection, although there remains a responsibility “to keep the vehicle in a roadworthy condition”. Wight Classics has developed a straightforward classic car safety inspection service for older cars. It is designed to provide peace of mind for owners and most importantly ensure that classic cars are safe to drive and enjoy. During 2019, we will be introducing fixed cost safety inspections which will identify any existing problems, as well as those that could become an issue at a future date. This will give our customers the chance to plan for future repairs and maintenance. As well as perhaps time to track down those essential parts that can sometimes be a bit of a challenge to source. As an option, it’s a good opportunity to combine the inspection with a scheduled service. If your vehicle was built before 1st January 1978, this could be an ideal ways for you to enjoy your classic motoring with the confidence of knowing your car is safe to drive. Like an MOT, the classic car safety inspection is only valid for the date that it’s issued, but Wight Classics will also provide a series of comments and recommendations. We will classify by a traffic light system. So red for work that needs urgent attention and green for jobs that you might wish to undertake at some future date, but that currently don’t seriously affect the way your car operates. Call Wight Classics today to get an estimate for our safety check inspection and perhaps get that regular service undertaken at the same time. Contact us today and we’d be delighted to offer you a fixed quote for the inspection (as well as an optional service) having seen the car and then get you booked in. More information on MOT exemptions for older vehicles can be found online at the DVLA website.